Seaport city in Eastern Russia on Sea of Japan and near North Korea. 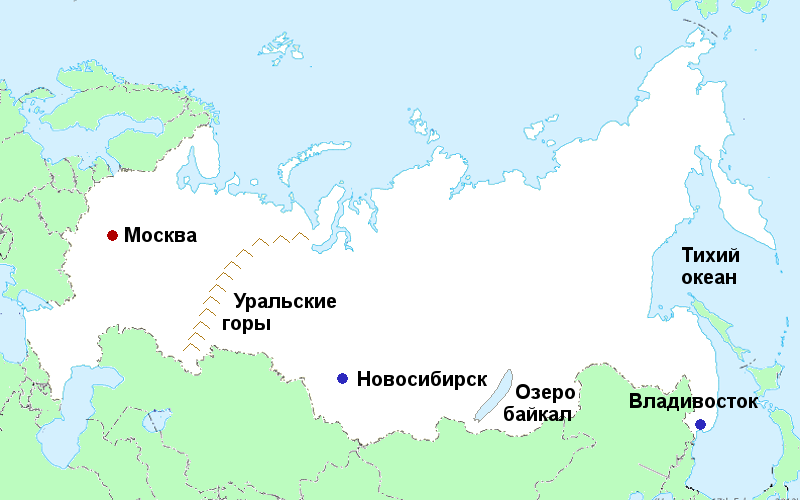 Russian mountain range stretching from the Arctic Circle to the Caspian Sea. Traditionally regarded as the border between Europe and Asia. Largest freshwater lake in the world, containing twenty percent of the world’s freshwater. Владивосток расположен на восточном побережье России. Мы посетили Уральские горы в течение недели.